At the turn of the nineteenth century, most European intellectuals were smugly declaring the end of belief in spirits and angels and declaiming all other paranormal spiritual phenomena. As the twentieth century gives way to the new millennium we find that - instead of the predicted rise of the "secular city" - we are experiencing a profound renewal of paranormal and spiritual phenomena, and many expect this trend to intensify even further in the next few years. 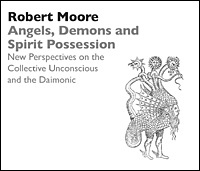 In this workshop Dr. Moore gives an overview of current spiritual phenomenology to help us grasp the present situation in spiritual experience and practice, then turn to Jung's psychology to help us understand it. Prominent consideration will be given to Jung's differentiation between personal psychological contents which should be integrated, and the phenomenon of the "spirit complex," which by its very nature cannot and should not be brought into the inner precincts of the self. Also examined is the current interest in angels, channeling, spirit possession, and other forms of paranormal spiritual phenomena by using Jung's psychology as an interpretive tool. The workshop concludes with an exploration of the ways in which these phenomena raise questions about current dominant paradigms in philosophy and science.